Then I ordered some delicious takeout for lunch, we built a tent out of vintage sheets in the living room and watched a movie in our tent while we had an indoor picnic. And Creamie has been playing in there all afternoon. 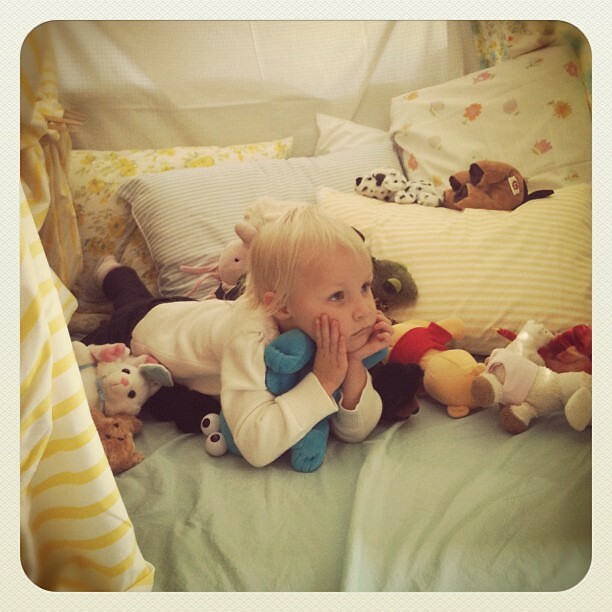 She has every stuffed animal, doll, baby, toy, pillow and lego guy she has all piled inside. I’m sure the books in her room will be the next guests. And we are watching movies and having a great old time. I think we are going to start dinner with dessert and hopefully have an early bedtime. 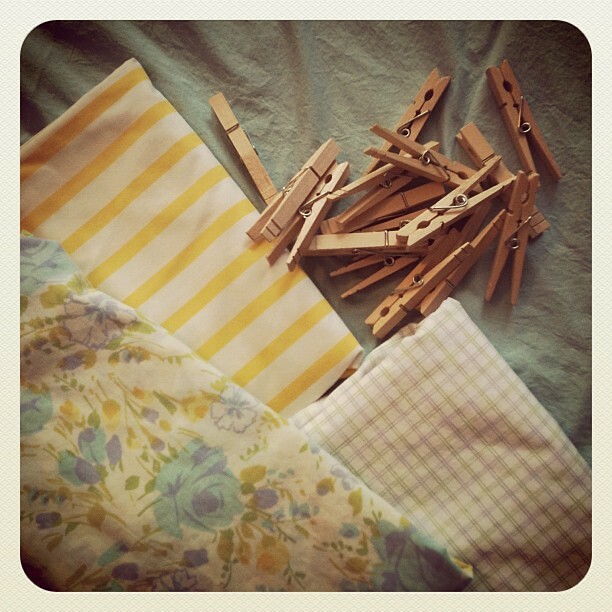 And then I hope to get back to my sewing machine. You are such a totally cool mom! Love that fort! Oh how I love rainy /semi-rainy day make up fun days. very cool! 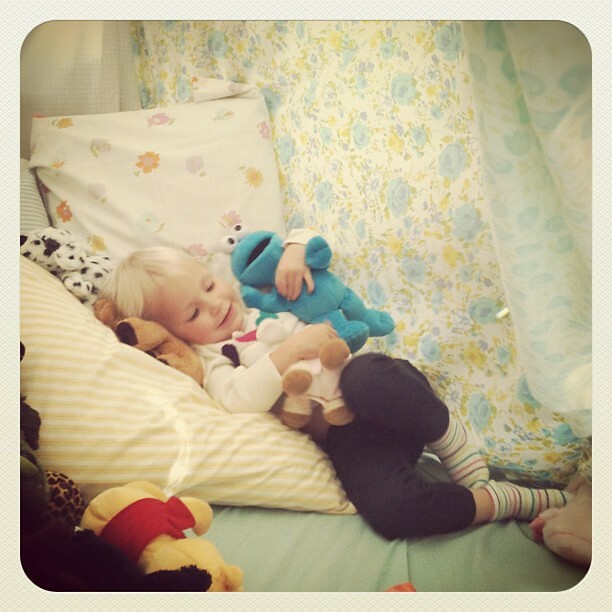 Love forts & afternoons like this make for such great memories. Thanks for posting! Sounds like an ace plan. Especially starting with dessert. That sounds like the most awesomest day ever! !